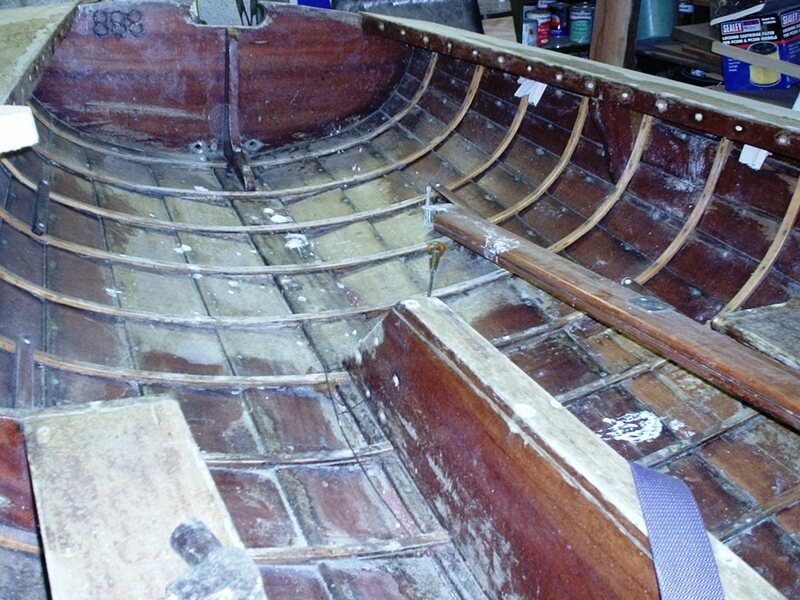 ‘Just thought I would fill you in on what we have been up to over the summer, apart from the usual repairs, maintenance, and replacing broken bowsprits on Troy class racing yachts, we have had a major rebuild to do on an old National 12. 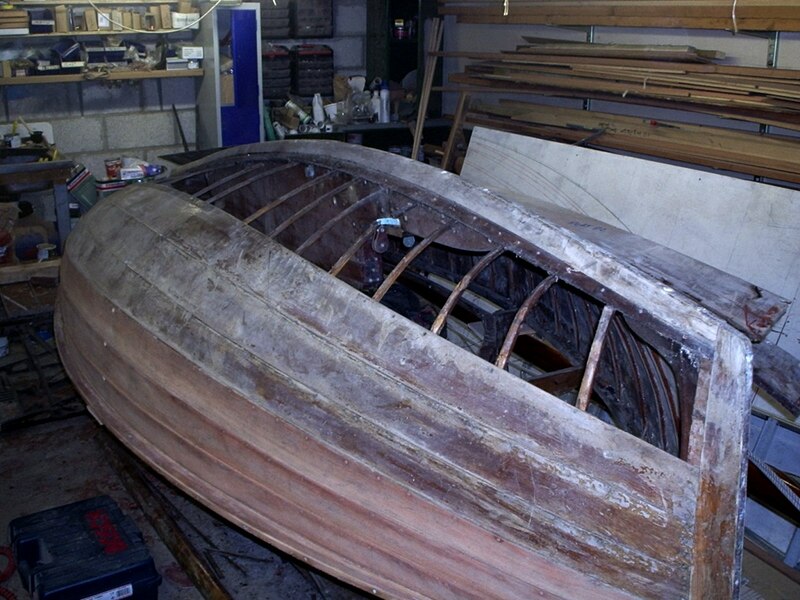 Flook, boat number 888, was one of the last Uffa Kings to be built – she is believed to have been built around 1947. 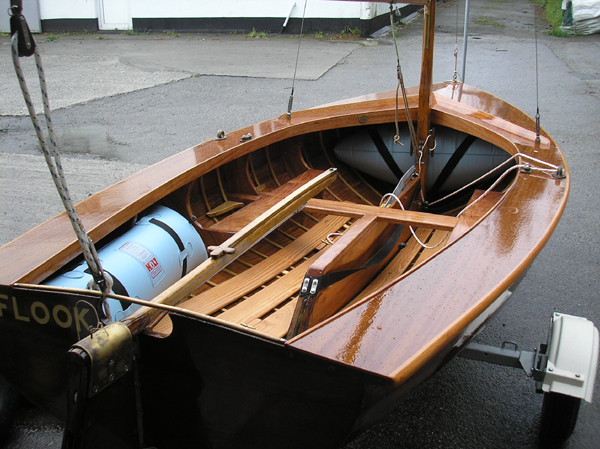 ‘This Uffa Fox design revolutionised the National 12 class in the 1930s. 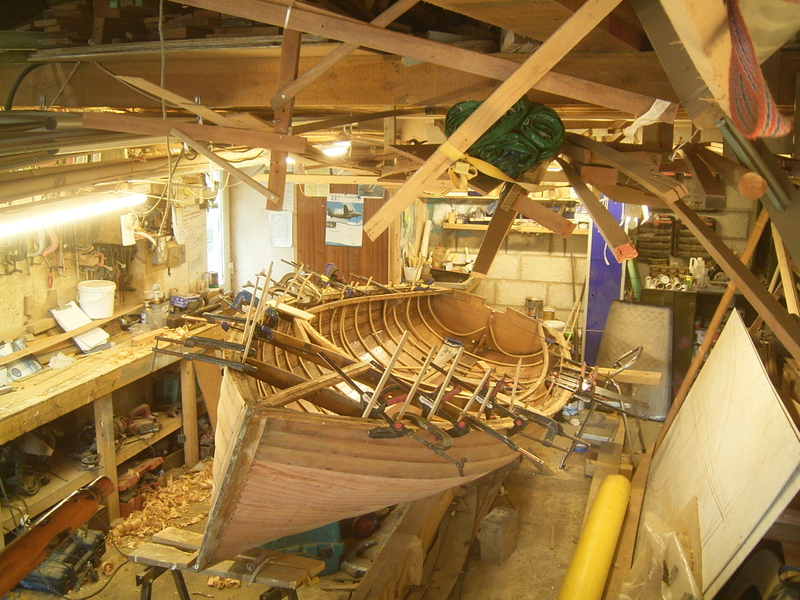 ‘Flook had been in a barn for over 20 years, but had a few split planks, a few old patches, delaminating decks, usual sort of stuff. 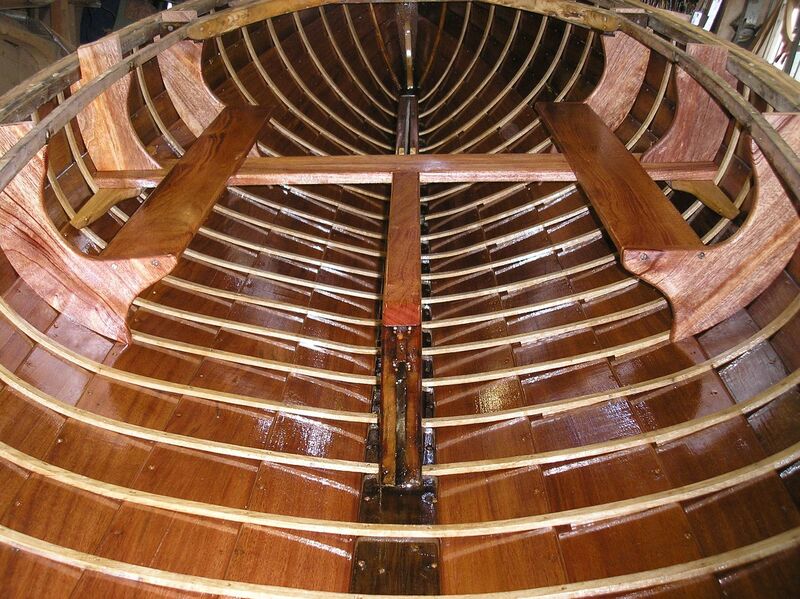 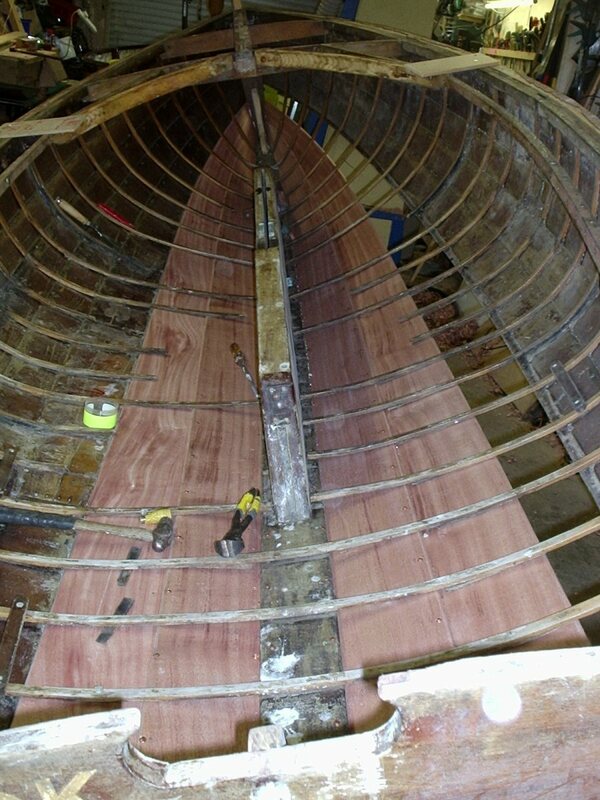 We went right through her, refastening the centreline, replacing eight planks, completely re-timbering her, cleaning up her original wooden mast and re-rigging, re-decking, and a good varnishing all over. 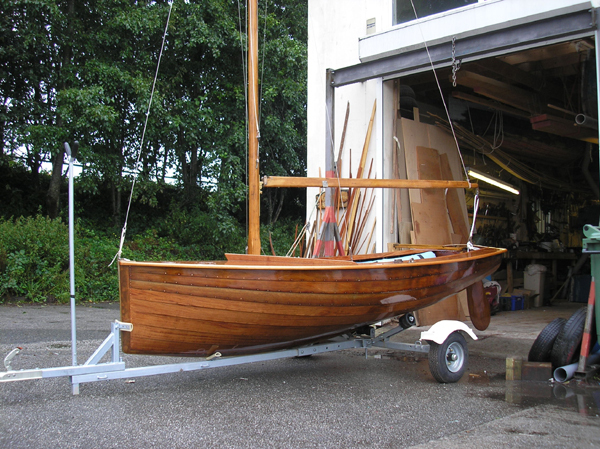 ‘The owner also had a new set of sails and is now enjoying watching his grandchildren coming to terms with a rather tippy National 12! 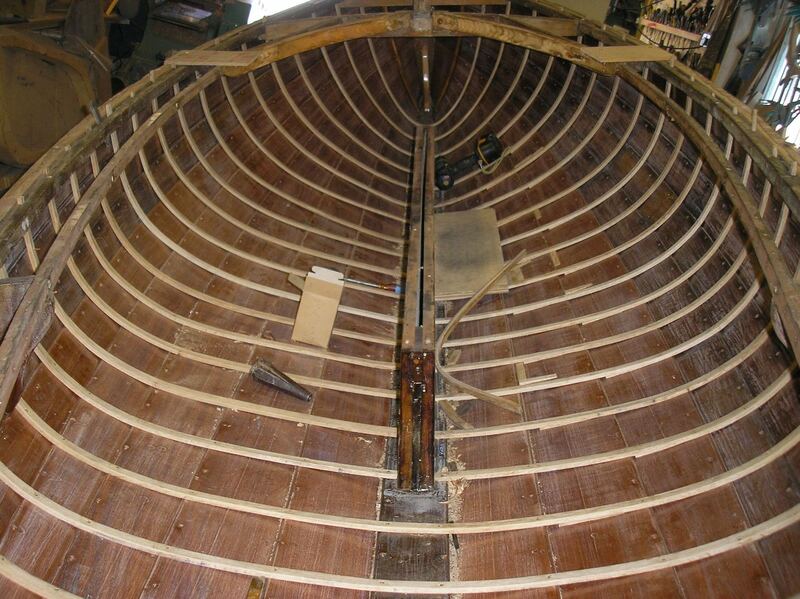 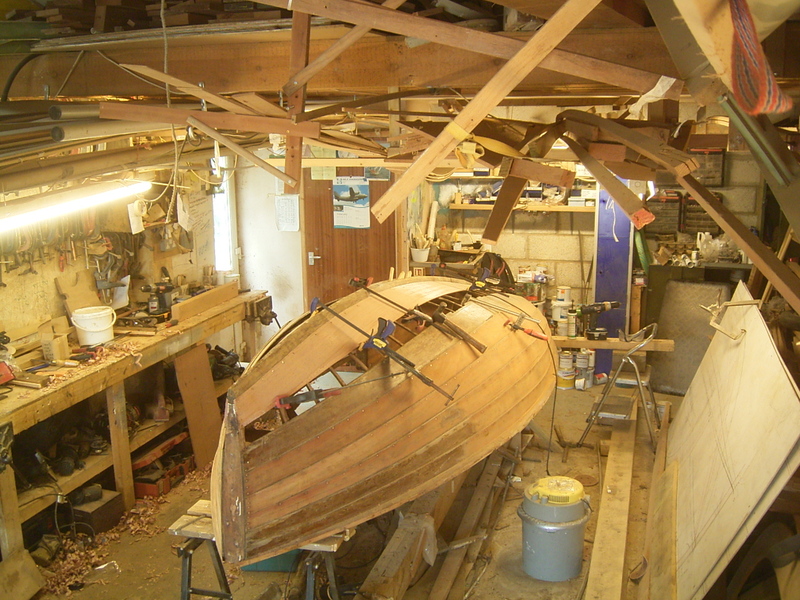 ‘We have also had Wayfarer number 11 in for a bit of a tidy up, refastening the panels to the stringers, making good old repairs, paint up, repair original wooden mast, re-rig, etc.